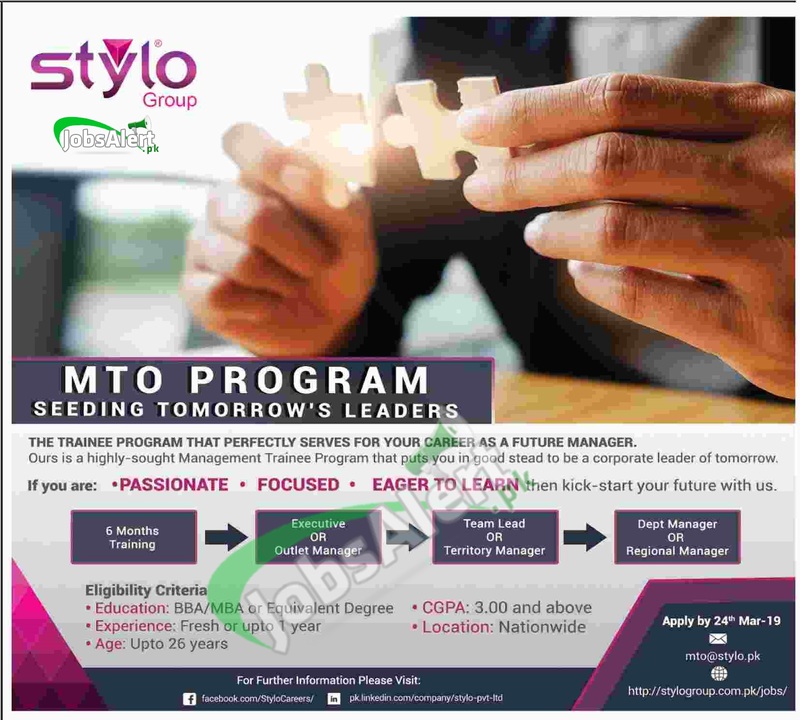 Tap this page for the Stylo Management Trainee 2019 MTO Program Apply Online among the young energetic an well qualified indiviuals from all over Pakistan who are welcome to be part of this reputed shoe industry in Pakistan. There are different disciplines to apply in Stylo MTO Program such as (Executive OR Outlet Manager Team Lead OR Territory Manager, Department Manager OR Regional Manager). Individuals from all over Pakistan possessing qualification from BBA/MBA, with or without experience are welcome to apply online or by submitting CV via email before the last date 24th March 2019.